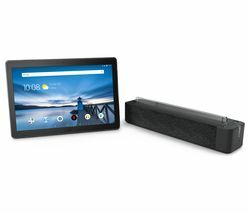 Lenovo tablets come with the Android operating system pre-installed which means they are easy to use and will allow you to keep all your music and other files synched with all your other Android devices. Lenovo tablets are perfect when you want to take your entertainment with you, even when you’re travelling light. Small enough to slip easily into your bag or a larger pocket and so lightweight you’ll barely know you're carrying a tablet. Long journeys will fly past when you can play games and listen to music on your Lenovo tablet. 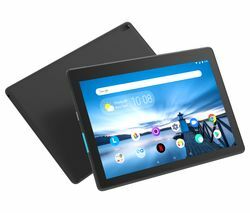 There are several different types of Lenovo tablets available, from the flagship Yoga series to smaller, more affordable versions that are perfect for lighter use. We have a full range of tablets, that are perfect for school and college, as well as high-performance versions that can give you everything you need when you’re away from your desk. If you’re looking for a tablet that’s even more affordable, check out our range of Samsung tablets and you’re sure to find something that fits your budget and requirements. Whether you’re looking for a new tablet for gaming or you simply want to add to your collection of devices, a Lenovo tablet is ideal.